This mixture of Habanero seeds produces small bell shaped, 2 inch peppers that packs a huge punch. Six different varieties are included, varying in colors from red, lemon, white, chocolate, orange, and peach. 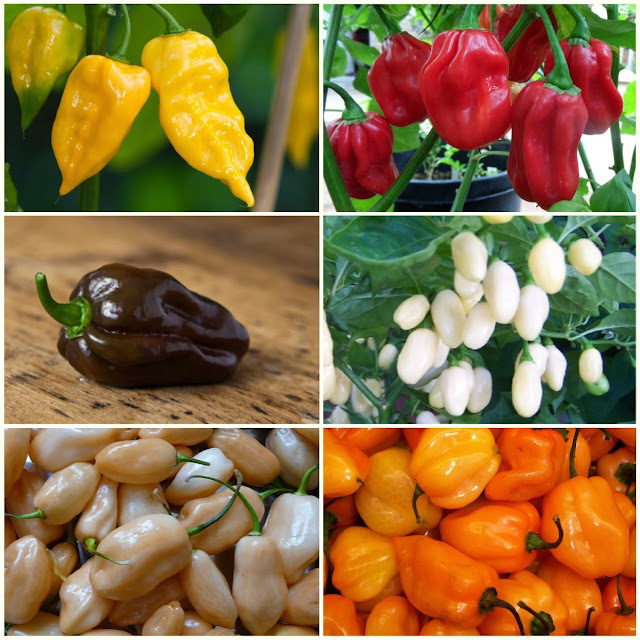 Habanero is among one of the hottest peppers, ranging from 100,000 to 350,000 Scoville units. Best if started in peat pots, indoors in a controlled environment. They need a steady temperature of at least 70F or higher, and need an area of full sunlight. All peppers within this mixture can be harvested in roughly 90 to 100 days. You can get the seeds from HERE.